Welcome to my blog! I create this blog mainly to document my food, to share cooking ideas/tips, and to preserve my not yet-written family recipes. I prefer to cook using fresh ingredients and/or what are available. I enjoy experimenting in the kitchen, creating meals. I cook with my senses so I hope this blog will help me record what I cook/create. I am a practicing family nurse practitioner, a photographer and I live to eat. Please join me in my culinary journey! 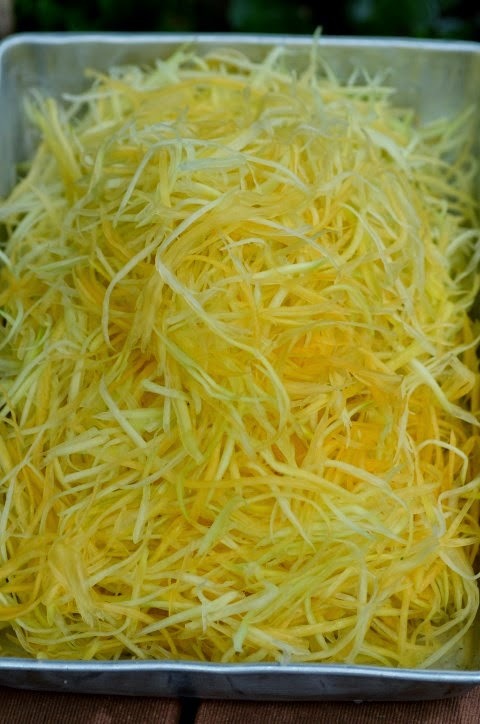 When I have an abundance of green papaya, I like to keep a supply of prepared shredded papaya in a clean bag in my refrigerator. I have come up with other ideas by mixing different ingredients so I don't get tired of eating it. I found this great looking purslane weed at the Makawao farmer's market. It has a slightly acidic taste which complements this dish well. I also like the texture of these green leaves against the yellow strings of papaya. 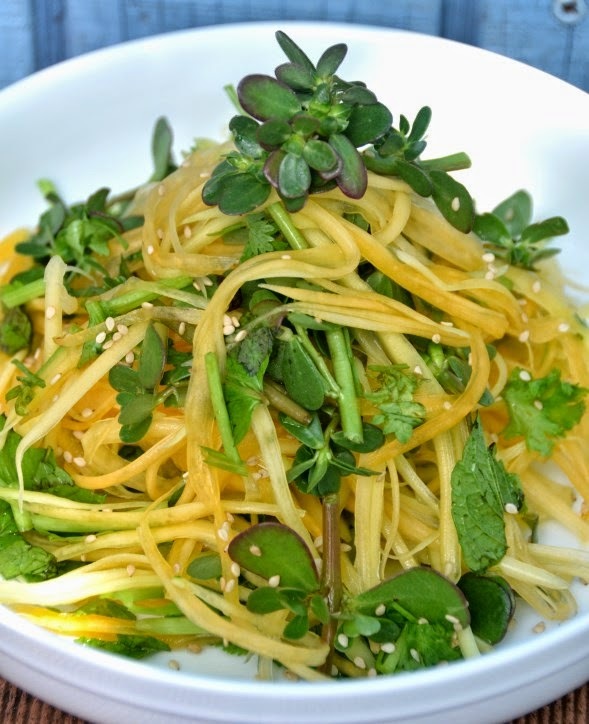 1) Mix papaya, purslane weed and mint leaves together. 2) Sprinkle the sesame seeds on top. 3) Drizzle with some Vietnamese dipping sauce. *Purslane weed is exactly that, a weed! If you are able to harvest this in the wild it will be even more special. If you forage for edible weed please remember to pick far away from the road and pesticide area. *If you make this salad add as little or as much of the ingredient(s) according to your taste. Copyright © Thanh's Kitchen 2012, 2013, 2014, 2015, 2016, 2017, 2018, 2019. All rights reserved. Watermark theme. Powered by Blogger.